What is the best way to get to Cebu from Iloilo City? There are several options available to travelers such as taking a flight on local airlines, boarding a bus, or taking a vessel from a shipping line. 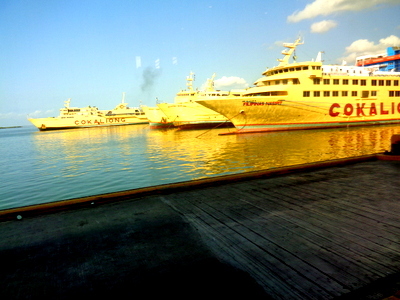 Travel to Cebu City, “The Queen City of the South” depends on your budget and how much travel time you have available. Since I’m cheap and have an abundance of time on my hands, having retired to the Philippines almost seven years ago, my lovely asawa and I have discovered the best way for us to get to Cebu from Iloilo City is via Cokaliong Shipping Lines. If you purchase a round trip ticket, you can avail of an air-conditioned “suite” for two with your own private CR, Comfort Room, for around 87 US Dollars, 4000 pesos. We’ve used Cokaliong on three previous trips to Cebu, including our latest excursion, which included a side trip to Bohol, and have been extremely pleased with their service. The route to Cebu takes around 13 hours but since we travel at night, we sleep most of the way. The air con is set at 18 Celsius when we board the vessel, but I have to bump it up to 20 unless I want my asawa to transform into a human Popsicle. We have also traveled to the Queen City of the South via the Ceres Bus Lines from Bacolod City two years ago. It was a scenic bus trip through Negros Occidental where our bus boarded a ferry at San Carlos City which took us to Cebu. At the time, it only cost P550 per ticket, a little over 12 US Dollars, which included the ferry fee from San Carlos City to Cebu. 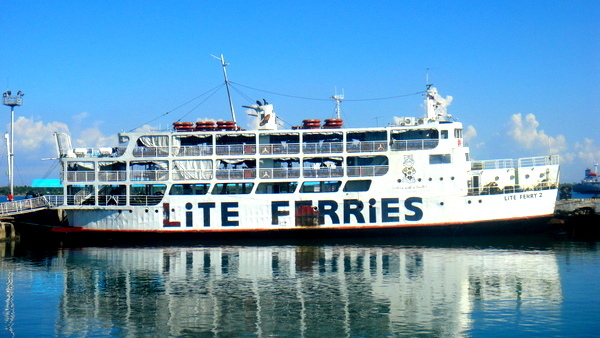 When you added our travel time from the Super Cat Ferry from Iloilo to Bacolod, one hour, the total travel time amounted to around nine hours. Cheaper and somewhat quicker than Cokaliong, but decidedly easier for us to travel by boat, which we did on that first return trip. Of course if you’re on a tight time schedule flying to Cebu is your best option. I’ve traveled on Cebu Pacific to the Queen City in the past but would rather skip the trip to the Iloilo International Airport and take the boat. It can take around three hours to reach the airport from our home in Guimaras while we can reach the port in Iloilo in around one hour or less. It’s much less of a hassle for us to use Cokaliong Shipping Lines. Plus, we can take all the luggage we went on Cokaliong but are subject to extra baggage fees imposed by Cebu Pacific. A promo flight for one person is about 3,800 pesos before luggage and terminal fees, which bring the total amount of fees to around 90 US Dollars for one person, almost double the cost of going via the boat. What is the best way to get to Cebu from Iloilo City? For us, it’s Cokaliong Shipping Lines. It might be cheaper to travel to Cebu using the Ceres Bus Lines but our preferred method of travel is via the shipping lanes. What’s your favorite mode of transportation when traveling in the Philippines?